The final price of a Perry guitar depends on choice of materials, tuning machines, and degree of ornamentation. 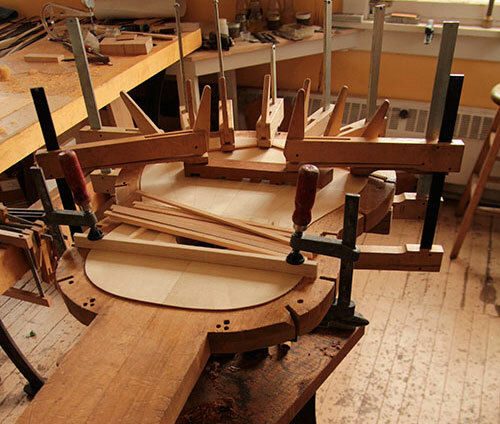 Concert guitars begin at $10,500 USD. Shipping charges are not included. A non-refundable deposit of $500 is required to secure a place in our building schedule. A second payment of $1500 is required when construction of your guitar commences. Various case options are available, but a TKL deluxe case is included with each guitar.